Wow! That’s some high praise. I still can’t get over the fact that people are actually reading what I write! I mean, I could be writing anything over here. I LOVE CARROTS and APPLES! I HAVE NO IDEA HOW TO FLY FISH; IT SEEMS LIKE YOU’D CAST INTO YOURSELF?! See? Anything. Also, Frugal Hound is relieved that her photos won some props. She’s been sweating bullets over her public debut. 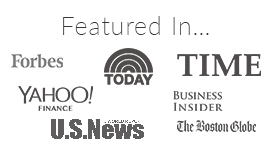 Spread the prestige and nominate five other newer/smaller blogs. The exact definition of newer and smaller seems to vary, so go with what feels right. Bee added: Look your dogs in the eye and tell them how amazing you are. Ok, I may have made this one up, but it’s how I reacted to the news. So we’ll list this one as optional. I did this in reverse order ’cause #3 was easiest. Also, you guys, I am not a great rule-follower, so I will probably violate/take liberties with these instructions. For example, I added a new category: The Frugal Hound “I’m A Greyhound!” Award! This award can be granted to any other personal finance greyhounds! Or just regular greyhounds too. Mr. FW and I had an awakening earlier this year about our future and decided to radically change the trajectory of our lives. We created Frugalwoods in April 2014 to document our journey from urban professionals to rural homesteaders. As we gallop towards financial independence, I’m overcome with ideas, emotions and thoughts and figured this would be a wonderful outlet for my bizarre rants deep ponderings. 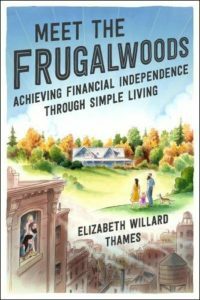 Everything I do has always been through a frugal lens and I feel like I’ve finally opened my lungs and am breathing true frugal air by writing Frugalwoods. This is tough because the world is large and I love most of it. Anywhere that I’m with Mr. FW is a good start (permission to gag now). Travel is a priority for us and we’re fortunate that we’ve been able to travel extensively internationally. Our favorite spot abroad is probably Krakow, Poland–seriously, it’s awesome. It’s like the Brooklyn of Poland. It’s easily navigable by foot, has great food, is SUPER cheap (unlike the real Brooklyn), boasts tons of art and culture, plus a huge castle! Also, really well behaved dogs. Seriously every dog in Poland is polite and doesn’t bark. But our favorite “place” is in the woods, on the trail. Your personal finance philosophy in 10 words or less. What has been your favorite blog post? It’s a post that elucidates our philosophy and outlook on life. I find myself reflecting on that post as I go through my daily life because my daily life involves a series of frugal decisions that no one else I know is making. And I’m OK with that–in fact, I’m delighted. 5. What is your favorite type of cheese? All of the cheeses. This is a trick question, in my opinion. How could you choose just one cheese?! We honestly don’t eat it all that often because it’s expensive, but it’s definitely a treat we relish from time to time. Mr. FW adores disgustingly stinky & foul cheeses whereas I prefer cheese that does not emit a horrendous odor. I have a penchant for Uniekaas Reserve gouda, which Whole Foods sells for a lot of dollars. We get it maybe once a month and eat it for dinner with some olives. It’s that good. Also, full disclosure, Whole Foods puts this cheese out on sample pretty often and I cruise by on my bike to sample with regularity. I know, so tacky, just like taking things out of the trash. What?! Who does that?! I’m continually amazed and impressed by the breadth of personal finance and FIRE content out there, and these folks are tearing it up. Also, apologies if I’m breaking the Liebster rules for “new or small.” I wasn’t sure how to apply this metric, so I just picked some folks I enjoy! Free to Pursue. A wonderful blend of early retirement wisdom and the idea that life has more to offer coupled with chronicles of her pursuits! Uplifting and inspiring. Plus, she’s a fellow greyhound owner! No More Waffles. This guy, in addition to being hilarious and quite knowledgeable, is Belgian! I could have easily listed Bruges or Brussels as my favorite places on earth. Belgian beer. Need I say more? FI Under The Big Sky. Musings on working towards “life flexibility” from a charming young couple. Funny, smart, and they have a puppy! The Frugal Paragon. Superb, helpful content from a mom “Seeking Mustachianism during the childraising years.” I know I’ll be re-re-reading her posts as we add Frugal Babies to our family! Mindful Riot. Brand new, as far as I can tell, and definitely has me intrigued. She has a witty, insightful writing style and, I’m all about fighting the mainstream. Can’t wait to read more! I like Bee’s questions a lot, so much in fact that I pass those questions along to my nominees! So, nominees, simply follow the above instructions and answer Bee’s brilliant questions (including the trick cheese query…). Thank you again to The Barefoot Budgeter and if you haven’t checked out her awesome stuff before, do it now! I’m thankful that Mr. FW has a very good job, which is enabling us to move towards FI even more quickly. Mr. FW gets Starwood Preferred Guest hotel points when he travels for business, which we then redeem for free hotel stays when we travel. Frugal Hound and I are having a girls’ week without him. We’re just two gals, hanging out at home, taking walks, doing yoga, eating treats, you know, the usual. Our main problem is that Mr. FW feeds us both (as our chef and dog-food-fetcher), so I’ve had some, uhm, unique meals. I should really learn how to cook… eh, maybe not. Who cooks in your house? Huge congrats on the award, and SO happy for you guys that you are making the move to the homesteading lifestyle. As much work as it is, we wouldn’t trade it for nothin’. 🙂 Have an awesome weekend! Thanks Laurie! I know I’ll be scouring your blog for advice when we make the transition! I’m grateful for the incredible resources you post. Happy weekend to you too! Man, I was gonna nominate you for a Liebster, I’ve just been lazy getting around to writing the post. 🙂 congrats! We take turns cooking, but honestly – I’m the main cook. I have more intuition with cooking and substitution than the man does, so I’m just a bit better in the kitchen. Awww, thank you! I really appreciate that! I’m just awful in the kitchen–I really should learn how to cook, I suppose. But Mr. FW loves it and is so talented (I hope he’s reading this…). I’ll also eat anything, so I was fine with the carrots and avocado I ate for dinner last night. Cheap + healthy are my only requirements really :). Seriously, awesome! Thanks for nominating me! I’ll get right on it! I’ll definitely check out the other nominees as well! Glad to spread the love–you’ve got a great blog going and I’m really looking forward to reading more. My only beef with you is that I love waffles and I don’t want to promote a world without them ;)! Haha, I might just change my blog’s name to No More Waffles Except for Mrs. Frugalwoods! Congrats on the Liebster!! My hubby is currently out of town (Iceland on a school trip) and I plan to watch some girly movies tonight like maybe Dirty Dancing or Girls Just Want to Have Fun. Not sure yet, but I try to watch them when he is not home. Enjoy your weekend! The Leibster was my first award as a blogger…congrats! Thank you, Josh! Appreciate you stopping by! Congrats on the Liebster! 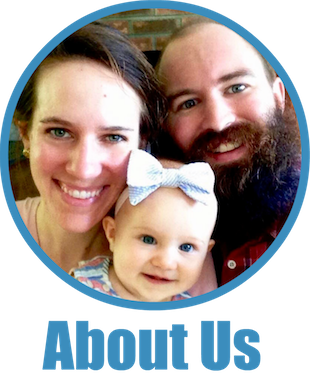 I’m late to the party, but I seriously dig your blog. And your dog in clothes is adorable. I mean, dogs in people clothes are just the best. But not like permanently or anything. Either way, I enjoyed the answers and am definitely going to have to check out the nominees. Have a great weekend! Hey thank you so much! 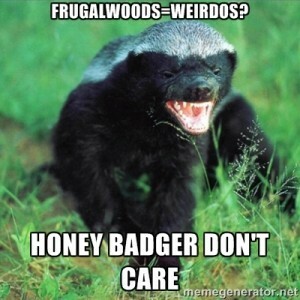 And you’re not late to the party at all… the Frugalwoods party is not beholden to time! Yeah, Frugal Hound would prefer not to be in clothes at all, but we’ve all got to do our bit. Thanks so much for stopping by! Congrats on the award! It’s great to follow you on your path of frugality to FI. Thoroughly enjoy all the posts and especially the pictures of frugal hound. I can’t believe she lets you dress her up like that! Thank you so much! We’re so glad to have you here! Frugal Hound is a pretty easy going girl. I wouldn’t say that she LOVES being dressed up, but she tolerates it for the treats and snuggles she gets afterwards. You’re right – “What is your favorite cheese” is a pretty unfair question. But you got it right anyway! Free cheese is the best cheese! Great nominees too….I’ve got some reading to do. Yay, thank you again for the nomination!! Free cheese makes me think of liberated cheeses :). Congrats on the award! 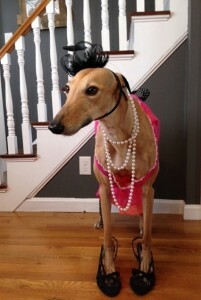 That picture of Frugal Hound dressed up is hilarious. Love it! Stinky cheeses are gross. My mom loves provolone cheese, and I can’t stand it. I am the main cook, but my boyfriend has learned the art from watching me, so if I ever want to take a night off, he can sub in. As a bonus, he also cleans the dishes. And we sound alike; I hate being away from my boyfriend, and I was so glad to finally see him again yesterday. I hope you’re able to enjoy Sunday together! Thank you! And thank you for your wise words on stinky cheeses–a food should not smell like a foot! I could totally relate to that post of yours–we just don’t like being apart! We were long distance for about a year and it was pretty miserable (I don’t recommend it). Happy Sunday to you two too! Thank you so much for the nomination! I’m looking forward to reading some of the other nominees. It’s fantastic that you’re close to FI–I’ll be following along to see how it goes for your guys. Congratulations on the Liebster! You are most welcome! And thank you for all of your awesome advice on parenting. I’ve been secretly poring over all of the mustachian baby tips as we prepare for this next phase of life! Just wanted to stop in and thank you again for the nomination! Mrs. FI does the cooking here. And she’s awesome! I’ve been encouraging her to post some of her more frugal, delicious meals. Thanks for stopping by and, you are most welcome! Yes, post more recipes please–Mr. FW is always on the lookout for new ideas in the food department. And, agreed, family + hound time is what we live for! Haha, thanks! 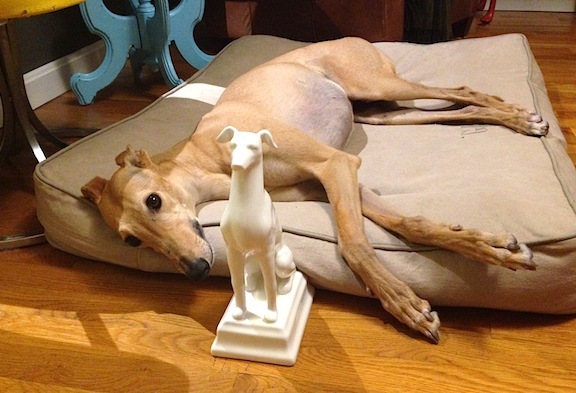 Frugal Hound is our unofficial mascot (and officially our dog). She pops up quite a bit on here, mostly because she’s fun to dress up (as you can tell from her face, she really enjoys it…not). So glad to have you here–thanks for stopping by!